Moody’s Investors Service on Tuesday downgraded the credit rating of Bharti Airtel and the unsecured notes issued by its arm Bharti Airtel International (Netherlands) BV mainly on ac­count of uncertainty around the company’s profitability, cash-flow situation and debt levels. The telco was assigned a credit rating of Ba1. This means obligations are judged to have speculative elements and are subject to substantial credit risk but have a superior ability to repay short-term debt obligations, the agency said in a statement. Ratings range between Aaa, which is the highest, and C, the lowest category. “Moody’s assigned a Ba1 corporate family rating (CFR) to Bharti and has withdrawn the company’s Baa3 issuer rating. The ratings outlook is negative,” Moody’s report said, adding that the negative outlook indicates possibility of further downgrade. “The downgrade reflects uncertainty as to whether or not the company’s profitability, cash flow situation and debt levels can improve sustainably and materially, given the competitive dynamics in the Indian telco market,” Moody’s vice-president and senior credit officer Annalisa DiChiara said. “Bharti Airtel and its businesses continue to be diversified and strong. 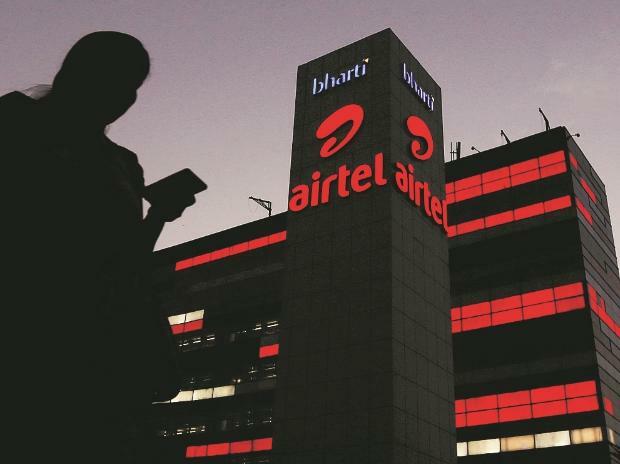 While Africa and non-mobile businesses in India exhibit healthy momentum, the continuing trend of robust growth in data volumes in India and the imminent recovery in voice tariffs will further help the overall business,” Bharti Airtel said, while reacting to the downgrade. The report said Bharti Airtel reported earnings before interest, tax, depreciation and amortisation (Ebitda) (cash flow indicator) of Rs 26,500 crore for the 12 months ended December 31, 2018, representing a 15.5 per cent year over-year contraction. The profitability of its core Indian mobile segment – which contributes around 37 per cent of the Ebitda – remained low, generating just Rs 9,800 crore over the same period. Last week, Bharti Airtel reported a 72 per cent decline in consolidated net income for the three months ended December 31, 2018 at Rs 86 crore. “In line with our conservative philosophy, we continue to explore other equity driven initiatives, including a planned listing of Africa operations and also tower stake sale post the merger of Infratel and Indus. All these and more will provide further robustness to the capital structure, Bharti Airtel said in the statement. With the Africa debt (including the acquisition debt) already reduced to $3.5 billion due to the several initiatives (and prior to the planned IPO), as also the fact that $6 billion debt in India is under 16 years of deferred spectrum payments, the overall debt situation is already comfortable and the planned initiatives will be beneficial. Also, the board of the company had recently formed a fund raising committee whose recommendations have been noted by the board and these will be considered at its meeting to be convened on February 28. “The company continues to be rated as ‘investment grade’ by two of the global rating agencies, Fitch Ratings and Standard and Poor’s (S&P’s),” Bharti Airtel added.